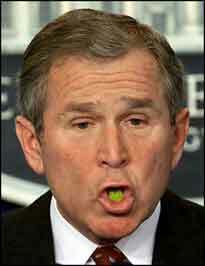 Booger is an American slang term for dried nasal mucus; the British form is bogey or snot. Booger is a word that has scholars baffled as to its etymology. Since it has always been considered semi-vulgar or at least childish, it has been used in few written sources. Furthermore, in the past the word booger has been used to mean many things, and has often overlapped with the terms boogie, bogey, and bugger. The earliest usage of the word is as an alternate spelling of the vulgarism bugger. Booger was first said to be slang for "dried mucus" in the 1892 Dialect Notes; boogie was said to mean the same thing in the 1891 Dictionary of American Regional English. Its appearance in slang dictionaries indicates that it had probably been used for some time in the United States before the 1890s. Both books said that mainly "school children" used the words. By the middle of the twentieth century, both booger and boogie were commonly being used to mean dried mucus. As late as the 1970s, both words seem to have been (relatively) acceptable. Since then, however, booger has apparently become more common. This may be due to its appearance in legitimate print media: Bill Watterson claims to be the first cartoonist to use the word booger in a syndicated comic strip, while Dave Barry has pioneered its use in newspaper columns, both in the 1980s. The hardened mucus that forms in the eyes during sleep is sometimes referred to as "eye boogers".